The iPhone 6s and 6s Plus are already well strengthened compare to its predecessor iPhone 6 and 6 Plus, but you will still need to take protection side of things in your own hand if you want the ultimate protection for your expensive gadget. Apple’s own line of cases are nice but rather boring and pricey, so we have gathered a range of stylish and protective cases for your new spanking new iPhone 6s and 6s plus from exclusive UK retailer of accessories, More UK, with a %10 off discount on all its cases which will expire within 72 hours. 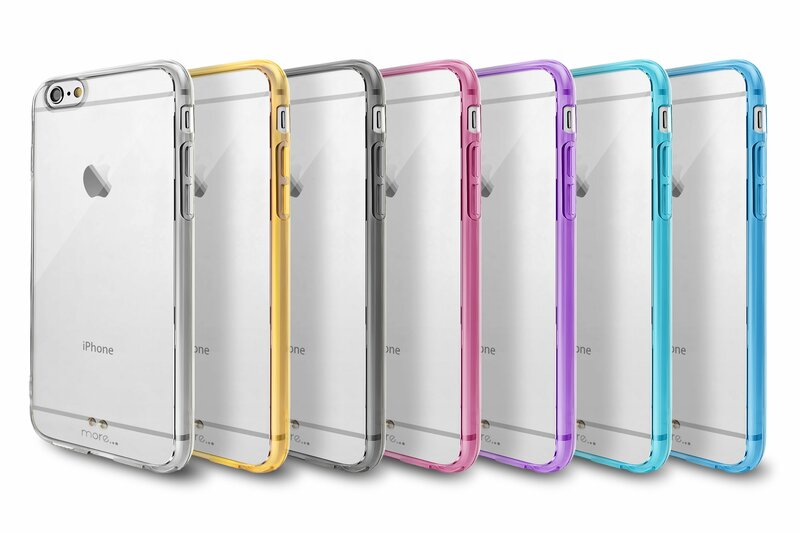 First on our list is the thinnest bumper case ever designed for iPhone, BumperLicious series, which comes with a semi-transparent side bumper and crystal clear hard back, available in 7 colours. BumperLicious is super thin, in fact only 0.7mm, promises to provide decent protection with minimum bulk. If you love to keeping your iPhone shining through the case and not very fussy about military grade protection, BumperLicious will do the job. Built-in dust plug for keeping the dust away and well placed cutouts give access to third party accessories for maximum accessibility. As the name suggests, Duo Tough Extreme, promises to defend your iPhone without adding maximum bulk. It is one of the most handsome tough cases we’ve come across with a reasonable price tag of £19.99 (10% off code: DG10). Made out of 2 parts, the TPU and the hard plastic are durable which is the cure for drop protection. Brushed back motive adds to its slim profile and matte paint provides extra grip feature. 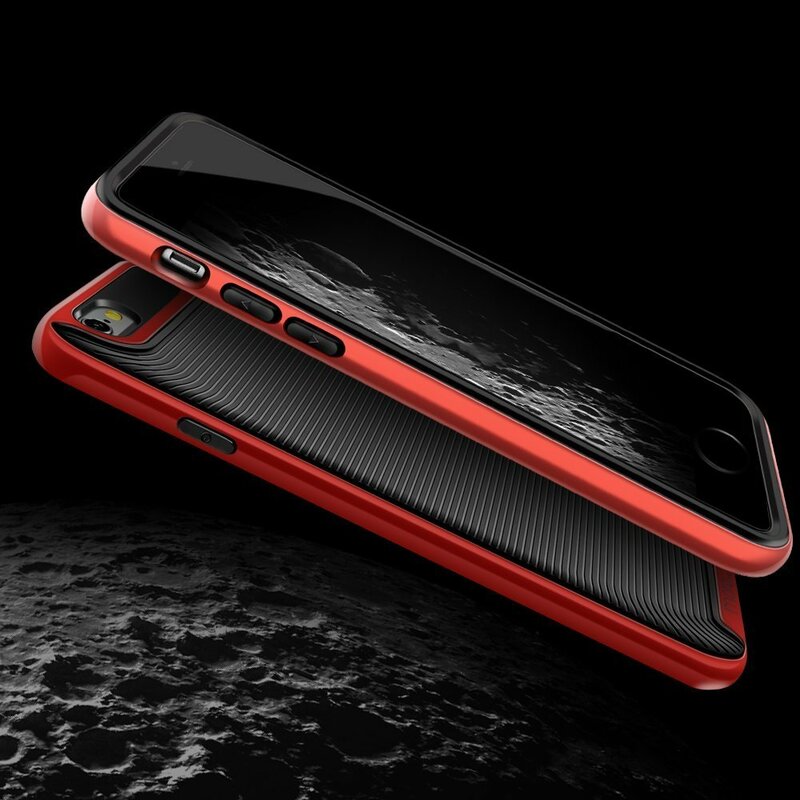 If you’re looking for a shock-proof case but also want to shock with its looks for a military grade protection case, then consider Duo Tough Extreme series from More. 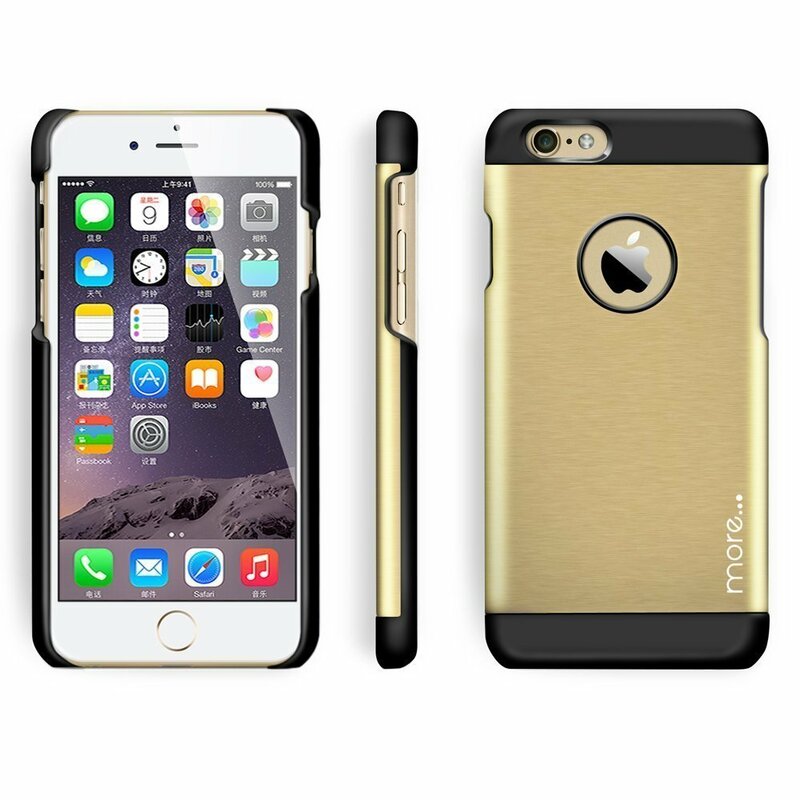 Do we need to say more, dual piece, armour protection for your new iPhone 6s series which also fits the previous iPhone 6 as the other cases in the list. 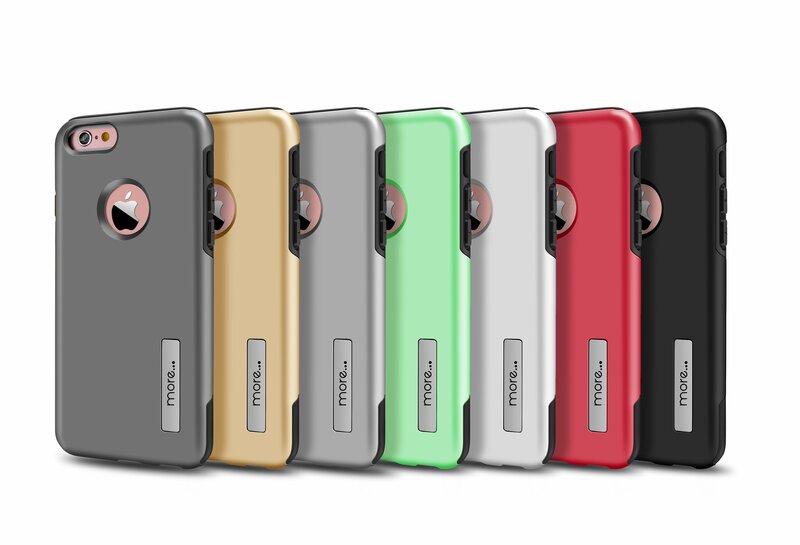 7 colours of rugged, 2 piece, beautifully crafted cases from More, provides extreme protection and keeps your iPhone looking stylish. It is one of our favourite cases when it comes protection meeting style, and it may be the only military grade case in the market which comes in array of colours. 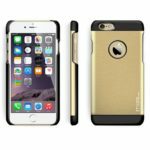 Duo Armour Protection Series iPhone 6 and iPhone 6s cases feature all necessary cutouts for charging and headphone ports along with maximum cutouts to provide access to third party accessories such as Beats by Dre and third party lightning chargers. The new iPhone 6s as well as the previous iPhone 6 series are very slippery and near enough impossible to use without a case, so, if you want a case that treats the beauty of the iPhone 6 and 6s and add features like, grip control, premium protection and anti-slip raised bezels then look no further. Duo Hybrid Series from More are the most popular from their range of already stylish cases. Dual layer made out of UV coated hard bumper with a touchable and textured TPU go hand in hand when it comes to protection but also feel premium with a unique touch. More says, protection does not have to be ugly, opt for this visually awe-inspiring iPhone 6s case and you will treat your device with what it deserves. 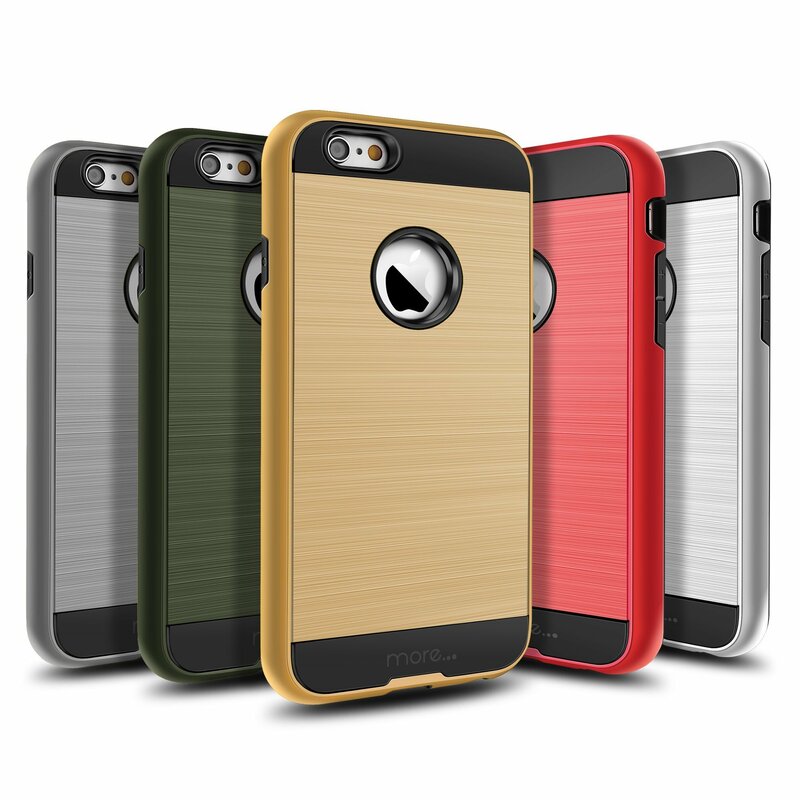 This case is a bit different than other cases on the list, it has an extra element of aluminium and less protection. The brushed aluminium back plate adds an elegant touch, and our favourite combination is the crimson red and black along with the champagne gold. Glaze brushed aluminium series are not the best when it comes to protection but it still comes packed with a raised bezel to keep you screen safe and polycarbonate matte body will provide basic protection against scratches and dirt. The logo cut-out is one of the best features of this case as it really goes well with the metal back and gives an overall sleek look. "Claim 10% off with the following discount code, and receive Free UK Delivery"
iPhone 7 Rumours: Will Intel inside be inside iPhone 7?